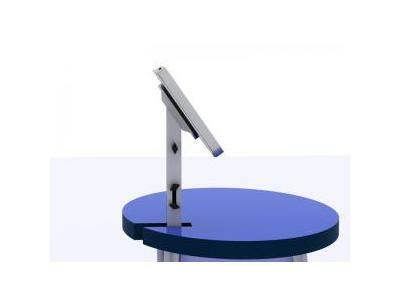 VK-1662 iPad Workstation: It’s mesmerizing. 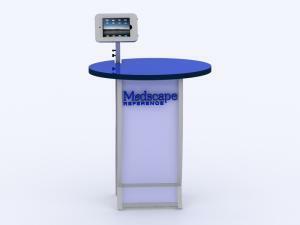 There’s no other way to describe it. 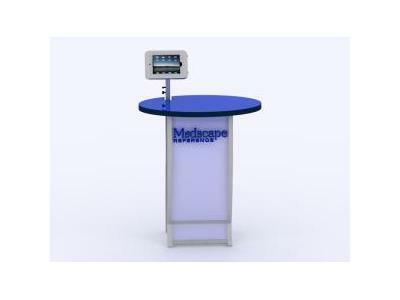 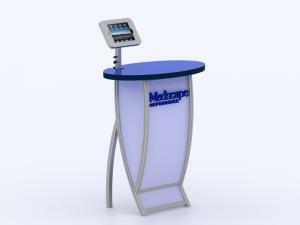 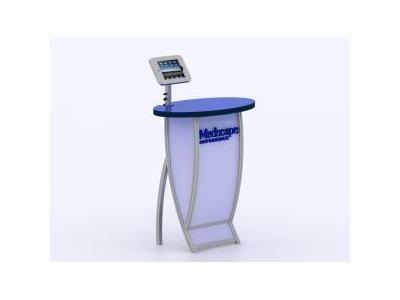 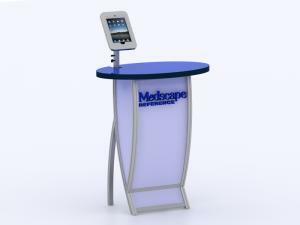 The MOD-1662 iPad pedestal combines three essentials for a modern trade show display: It’s portable, attractive, and functional. The locking iPad clamshell swivels effortlessly between landscape and portrait. 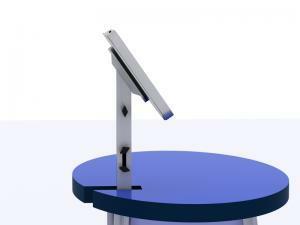 There’s also lockable storage with an internal shelf.